In 1997, I realized that there was a tremendous need to develop child-friendly and effective techniques for children with behavioral and academic issues. Since then I have devoted myself exclusively to developing such methods because these children often resist conventional therapies. Having taught thousands of other professionals on how best to reach these clients, I continue my mission to serve these clients and their families. 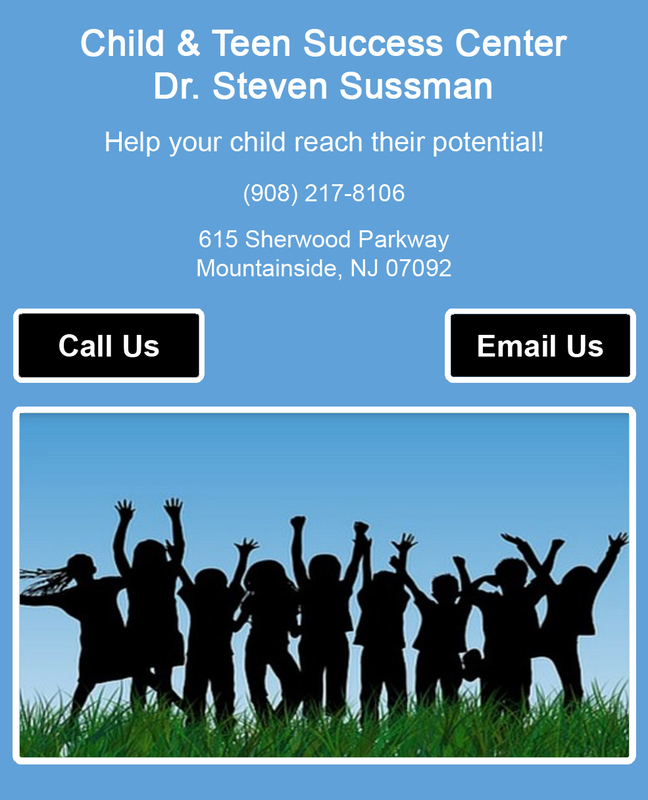 Dr. Sussman is an experienced child psychologist New Jersey. 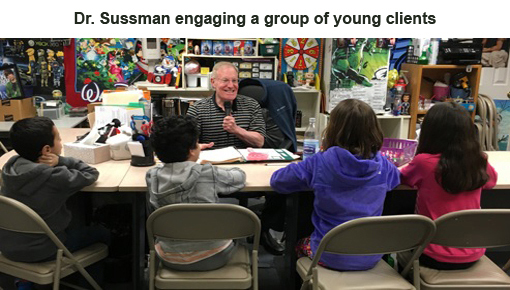 As a devoted child therapist, Dr. Sussman takes child counseling very seriously and enjoys seeing positive changes in his patients and their families. 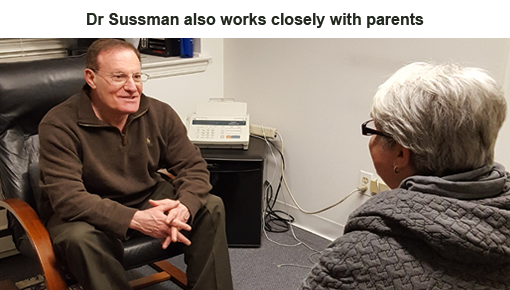 For information on therapy ADHD and other child psychological matters that Dr. Sussman's helps with contact our child psychologist Union County today. 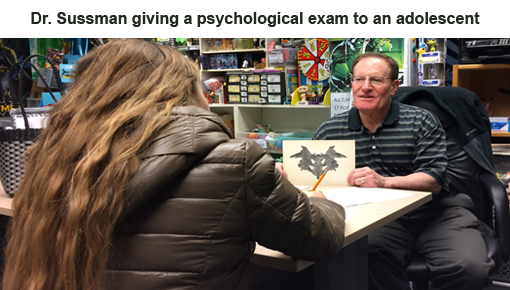 Experienced child psychologist New Jersey. Our child therapist provides skilled child counseling, therapy ADHD, and help with other child psychological matters. Call our child psychologist Union County today for the help you and your child needs.